This Thursday, February 8th marks a very special date for us. The old dialer realtime screen we all know and sometimes loved will be retiring. We’ve had a lot of interesting times together, we built her to make managing your center easier with a light colorful interface, and with time and listening to you, we made some super effective modifications. So we’d like to raise a toast to the old version of dialer dashboard, you’ve served us well these past few years dear friend, we couldn’t have done it without you. Now chill out and enjoy your retirement—you’ve earned it. And now, I’d like to give a very warm welcome to Deskforce Atomic v2, aka the new realtime. Sure, change has its challenges, but we know you’ll make this new version feel right at home when it starts to work for you. Lots of new features to talk about! 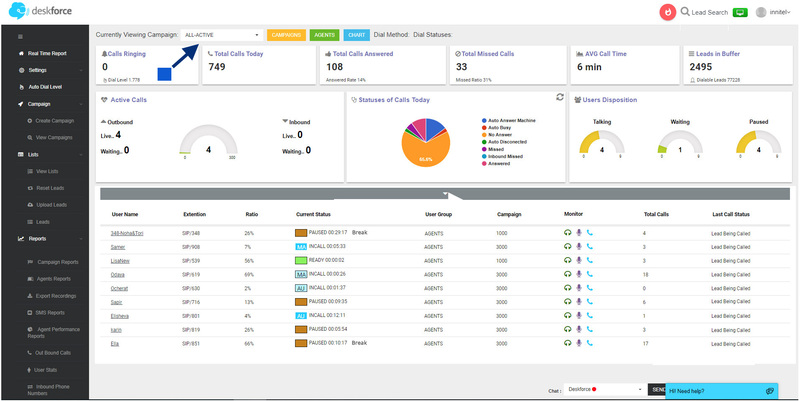 For more information, contact your Customer Success Manager to schedule a demo & upgrade!